This paper presents a new semiautomatic method to remotely segment a target in real-time. The aim is to obtain a fast distinction and detection based on RGB color space analysis. Firstly, a pixel of the desired target manually is selected and evaluated based on weighing different surrounding areas of interest (Ai). Later, statistical measures, identification of deviation parameters and the subsequent assignation of identifiers (ID’s) that are obtained from the color information of each region Ai. The performance of the algorithm is evaluated based on segmentation quality and computation time. These tests have been performed using databases as well in real-time and accessed in remote way (distance from the control-site 8.828.12 km) to prove the robustness of the algorithm. 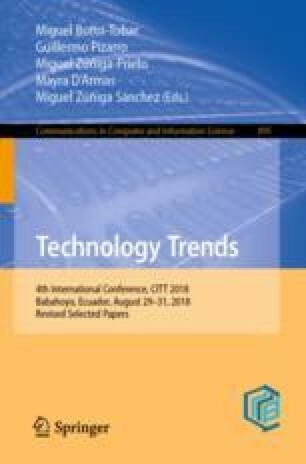 The results revealed that the proposed method performs efficiently in tasks as; objects detection in forested areas with high density (jungle images), segmentation in images with few color contrasts, segmentation in cases of partial occlusions, images with low light conditions and crowded scenes. Lastly, the results show a considerable decrease of the processing time and a more accurate detection of a specific target in relation with other methods proposed in literature. Henry Cruz Carrillo gives thanks the Technological Scientific Research Center of the Ecuadorian Army (CICTE) for the collaboration obtained. This work was sponsored by Spanish National Plan for Scientific and Technical Research and Innovation, project number TEC2013-48453-C2-2-R.